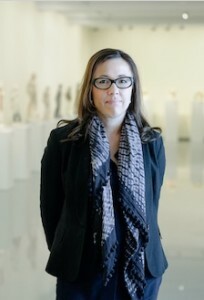 Charlotte Day joined Monash University Museum of Art as Director in 2013. Previously she worked as an independent curator and Associate Curator at the Australian Centre for Contemporary Art (ACCA). Charlotte has worked across a range of public and private contexts, from curating major exhibitions nationally and internationally, to advising on temporary and permanent urban-sited artworks and acquisitions for public and private collections. She has over twenty years of experience curating contemporary art and in arts management.